This is what happens when a smart decision is also the cool one. C-HR simply turns heads. An aggressive looking crossover that’s not only fun-to-drive, but practical as well. Smart features like standard Toyota Safety Sense*TM P (TSS-P), and great visibility, as a result of an open and elevated cabin. We know you’re excited, stay up-to-date to find out more. The slightly angled dashboard and amenity controls allows for the driver to have a clear view of the road ahead and intuitive access to instrumentation – a nod to the C-HR’s sports car influence. The 7-inch audio display is positioned centrally atop the dash, rather than in it, so as to help reduce a driver’s eye movements. An informative twin-ring gauge cluster resides behind the leather-wrapped multi-function steering wheel. The wheel, with its slender profile, small diameter, and compact center pad, is reminiscent of a sports car’s easy-to-grip helm. A bright 4.2-inch color Multi-Information Display sits between the twin-ring cluster. 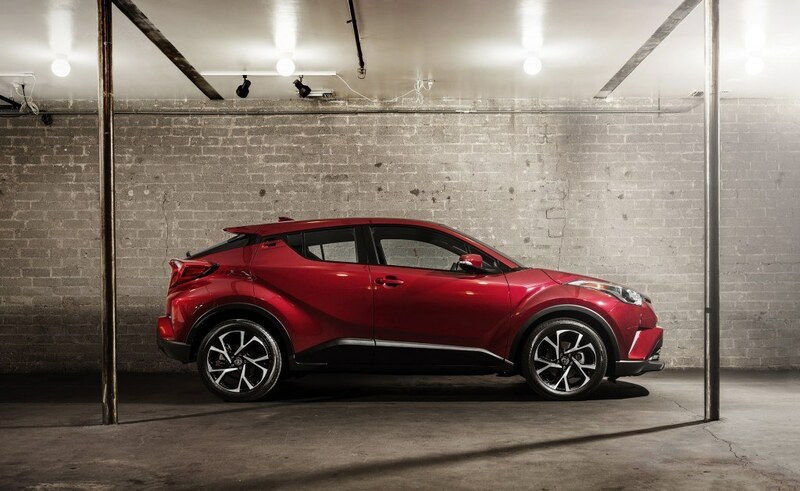 The Toyota C-HR scores high on style points, but it is also a hit when it comes to thrilling fun and impressive comfort. Deputy Chief Engineer Koba took full advantage of the C-HR’s adaptable Toyota New Global Architecture (TNGA) to craft an engaging character that goes well beyond just a cool appearance. The C-HR’s core driving personality incorporates the ingredients of a well-sorted sports car – one that seamlessly melds cunning responsiveness, linearity, consistency, and comfort. 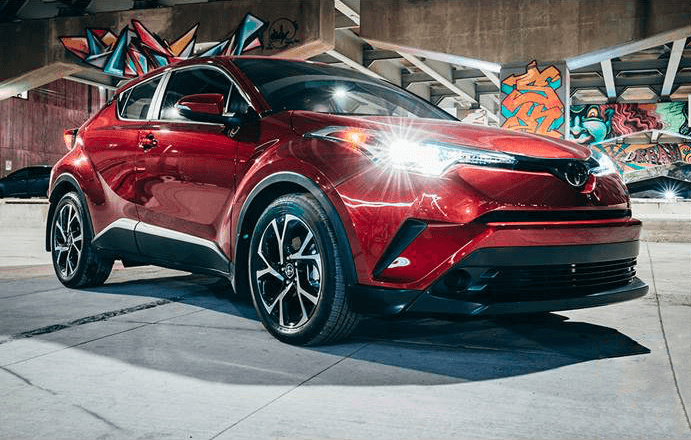 The C-HR’s engine, a punchy 2.0-litre four-cylinder producing 144 horsepower and 139 pound-feet of torque, sends all power to the front wheels via continuously variable transmission (CVT). The engine employs many of Toyota’s latest generation of technologies, including Variable Valve Timing (VVT) and Valvematic, both of which have received extensive optimization to enhance fuel economy and smooth operation. Valvematic offers a broader range of continuously variable valve timing (lift and phasing) to provide optimal intake valve (not on exhaust side) operation relative to engine demands. Furthermore, to reduce exhaust emissions, the catalyst is warmed earlier during the engine’s ignition cycle. No matter its grade, the C-HR comes equipped with standard Toyota Safety Sense™ P (TSS-P). This multi-feature advanced active safety suite bundles cutting edge active safety technologies including Pre-Collision System with Pedestrian Detection function (PCS w/PD) featuring forward collision warning and Automatic Emergency Braking, Lane Departure Alert with Steering Assist function (LDA w/SA), Automatic High Beams (AHB), and Full Speed Dynamic Radar Cruise Control (DRCC).